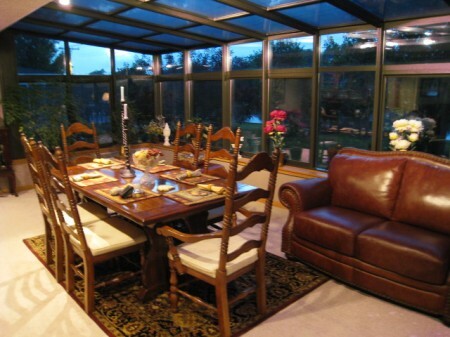 A Four Seasons solarium is a great way to expand your living space. 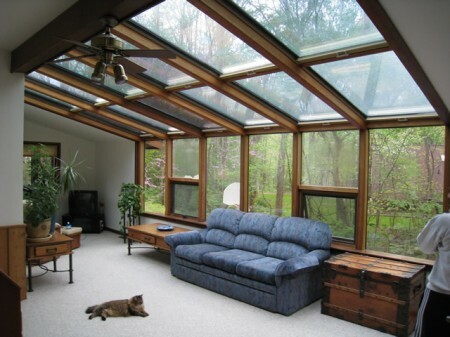 These rambling, open-concept sunrooms can brighten up any dark space in your home, providing cheerful outdoor light during the dreary days of winter and a cool, energy-efficient space in the summer. Our CONSERVAGLASS SELECT™ blocks 85% of the sun’s solar heat! 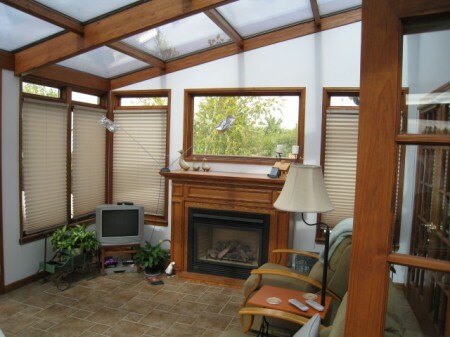 This open concept solarium features wood interior beams with a maintenance-free aluminum exterior. A Four Seasons straight eave glass solarium addition will add beauty, light, and elegance to your home. 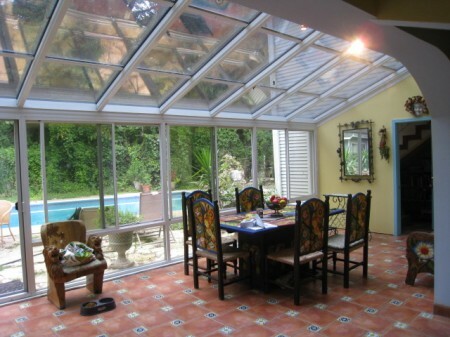 Insulated aluminum inside and out makes for a truly maintenance-free solarium. Dining under the sun or stars with family and friends in any season can be yours with a Four Seasons Sunroom! A wood beam interior with casement windows and a French door make this solarium an inviting family area. A fresh, all-white insulated aluminum interior with large sliding windows and doors is a perfect complement to this home’s built-in pool area.